I've always been bad at saving leftovers at dinner time. Lately, they have been turning out to be my lunch. This saves money and time. 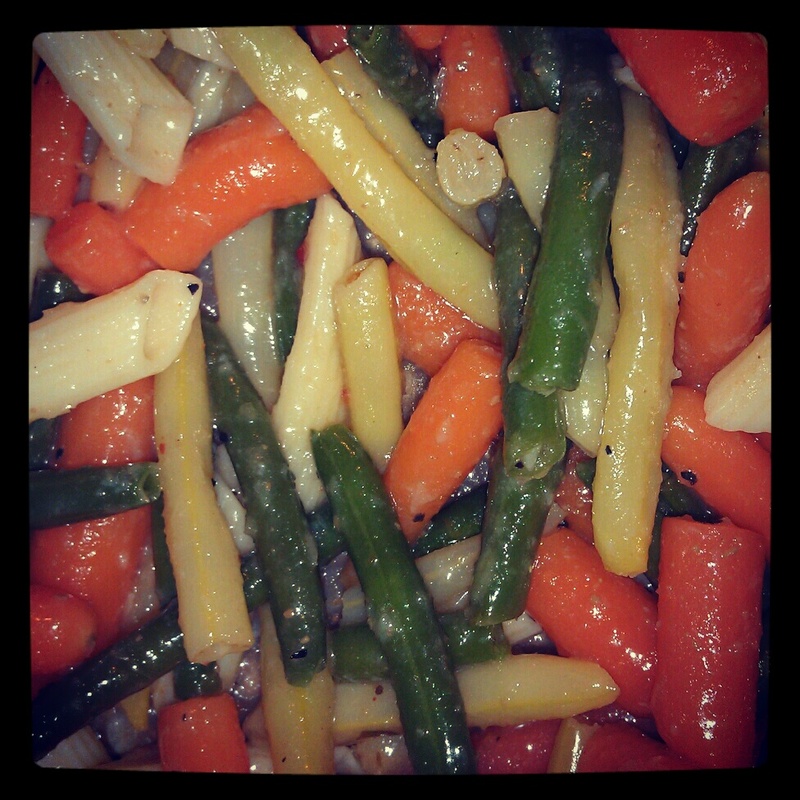 My hot veggies and noodles turned into a great cold salad with the help of some Italian dressing. With a little shake in the tupperware everything was evenly coated and yummy. What foods do you love as leftovers?